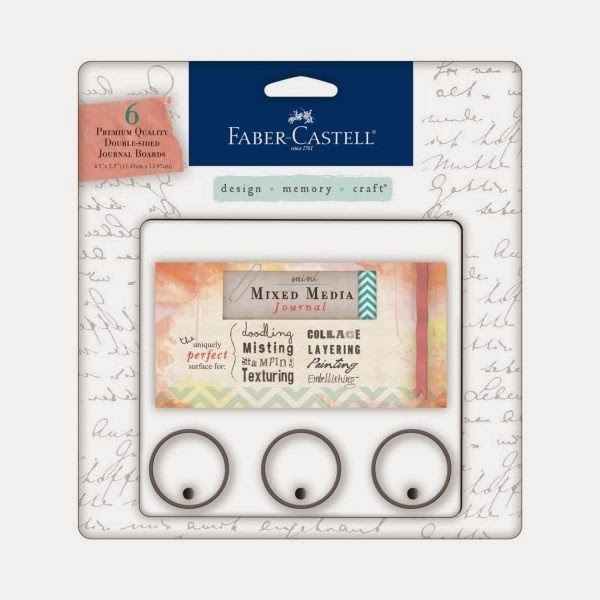 Sorry I'm late in announcing the winner of the Faber-Castell Mixed Media journal... A random chooser picked... Mallrat! Shoot me an email so I can mail this out to you! I created a "skin" from a photocopied image of a moth with 8 layers of gel medium. It takes awhile because you have to wait for each layer to dry before adding more. 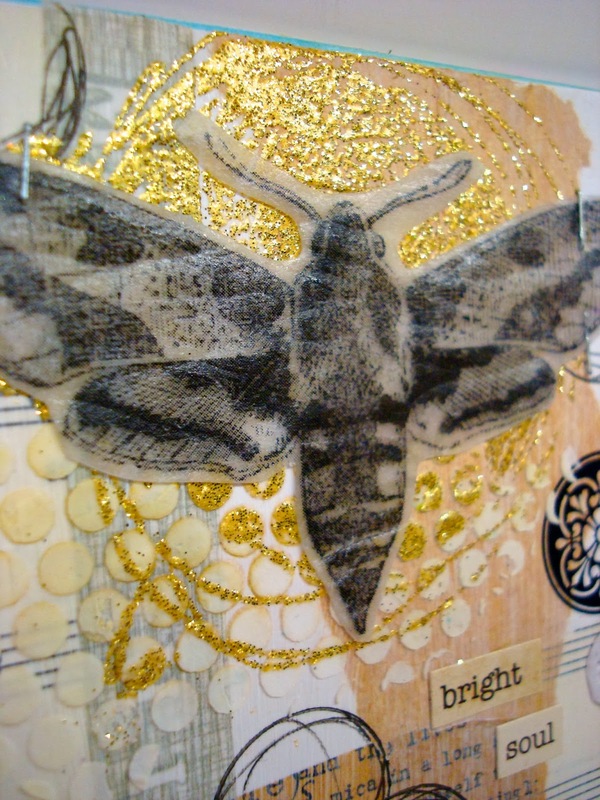 A stamped circle that is embossed with glitter embossing powder by WOW Embossing powders makes a great base for the moth. I also whitewashed the page with watered down Gesso (I used Faber-Castell Design Memory Craft® Textural Accents Gesso, Whipped Spackle, and Gel Medium on this page.). 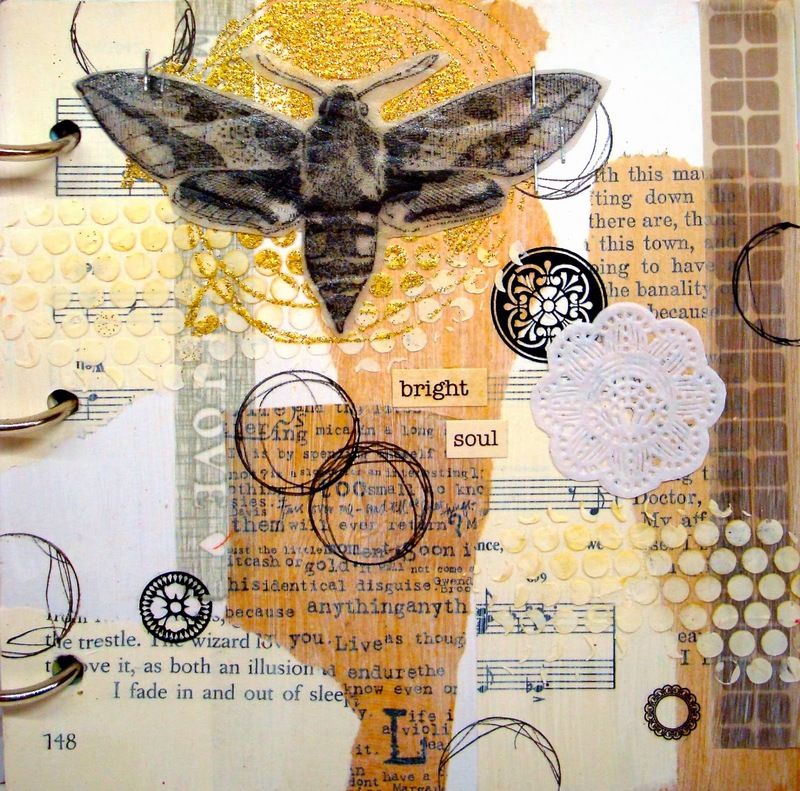 Some sketched circles with a PITT® Artist pen and word stickers and little tiny doily finishes up this page! I love this page for it's texture and neutral color scheme. Lots of fun techniques make it one of my favorites! Thanks for visiting... more to come!